The Apostle Paul from the rich treasury of his heart taught us that: “And do not be drunk with wine, in which is dissipation but be filled with the Spirit, speaking to one another in psalms and hymns and spiritual songs, singing and making melody in your heart to the Lord.” Ephesians 5:18,19. 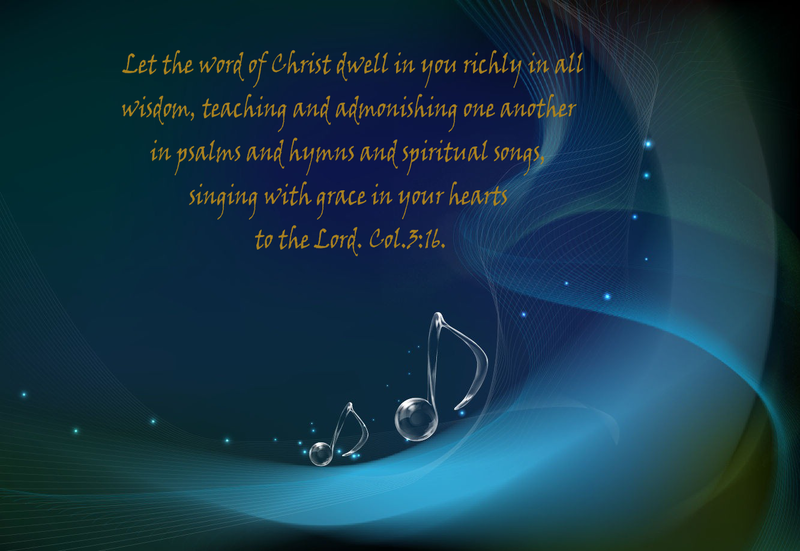 We are not only to sing the psalms (Biblical lyrics) and hymns (songs we write about God), but “spiritual songs.” The Greek words “odais pneumatikais” reveals the Holy Spirit as a composer, ready to not only enable but expand the song of the Lord through believers now as then. Please think about this very interesting thought that this song is a participant in heavens song by the Holy Spirit’s enablement, a song described as the sound (or voice) of many waters (Rev. 14:2; 19:6). Join this with Jesus’ description of the “rivers of living water” (John 7:38) springing from within those who believe in Him, it would seem that “spiritual songs” may be one of those “rivers” —–springing with praise from the inner man of the worshipping believer. A great word study for Thanksgiving, Manny. I wish you and your family a blessed Thanksgiving, my friend. Thanks for sharing. May you and yours have a great thanksgiving. Blessings.